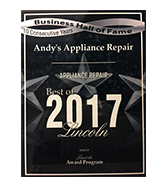 Andy’s Appliance Repair in Omaha has been in the appliance repair service business for nearly 50 years. In that time, we’ve worked on A LOT of different appliances throughout the years. We’ve fixed coffee machines, dishwashers, and everything in between. In our nearly 50 years, we have successfully worked on a number of different refrigerator brands and today, we are talking about the major refrigerator brands that we service! Sub-Zero refrigerators come highly recommended by designers, home decorators, and contractors alike. Sub-Zero is often thought of as being a cut above other fridge options because of their space-saving seamless designs, cutting edge features, and overall quality. Even the best of the best can break down sometimes, and when it comes to Sub-Zero, you will definitely want someone who knows they are doing and has experience working on such a superlative appliance. Fortunately, Andy’s Appliance Repair has worked on many Sub-Zero and other high-end fridges before and is more than capable of handling any Sub-Zero repair task you may have. 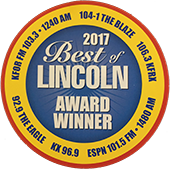 For questions on Sub-Zero repair or to schedule your refrigerator repair service appointment, reach out to Andy’s Appliance Repair in Omaha today! Samsung has products in a number of different arenas; phones, televisions, appliances, and more. Samsung is fantastic for providing you an extraordinary amount of options — no matter what product of theirs you decide to go with. When it comes to refrigerators, this is definitely no exception. Samsung has a ludicrous number of fridges and trims to choose from — which is excellent if you are in the market for a new fridge. However, if you have a Samsung fridge it can sometimes be difficult to find a qualified Samsung appliance repair technician. Andy’s Appliance Repair has serviced many different Samsung refrigerators in the past and has enough experience with their products to put your mind at east. 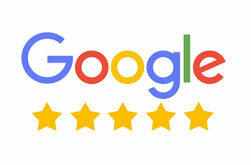 In fact, Andy’s Appliance Repair has experience fixing nearly every appliance that Samsung has to offer! To schedule your Samsung appliance repair appointment, click here! Frigidaire is arguably the most popular refrigerator brand of all of the brands currently available — and for good reason. Frigidaire is known for its reasonable price point, quality, and most importantly its reliability. In order to ensure that we are qualified to help as many people as possible, Andy’s Appliance Repair in Omaha trains our technicians to handle all major brands and appliances. Even if the appliance is renowned for its reliability, we are still prepared for situations where something can go wrong and we need to offer our Frigidaire refrigerator repair. Whether it be Sub-Zero repair, Samsung appliance repair, or Frigidaire refrigerator repair, Andy’s Appliance Repair is equipt to handle any refrigerator repairs. Curious about a brand that’s not listed here? Give us a call for any questions concerning other brands not listed or schedule your appliance repair appointment online. 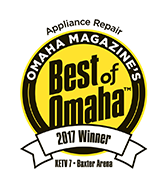 In Omaha, Andy’s Appliance Repair has over 50 years of experience in the appliance repair service market and fixes nearly every domestic appliance, no matter how big or small.